Pastor Jerry has a background as a professionally-trained Jazz bass player and he has been a Lutheran pastor since 2006. He has served as along side congregations in Ohio, Texas and currently in Wisconsin. He is married to the love of his life, Krista, and they have 3 beautiful girls. He enjoys helping others discover their gifts and using them to make the world a better place. 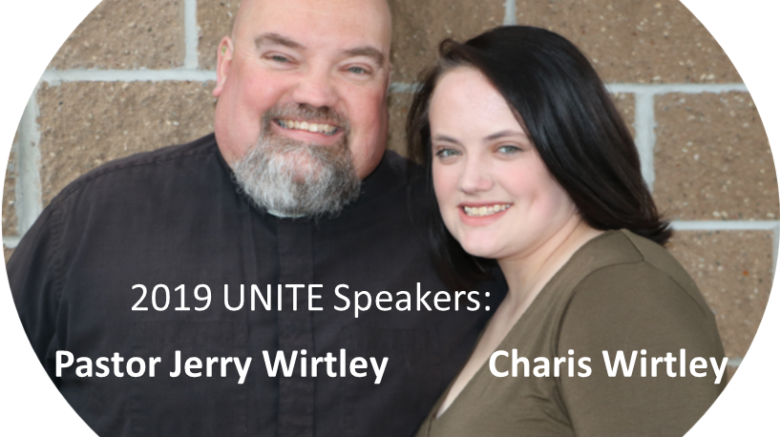 Charis Wirtley is the daughter of Krista and Pastor Jerry Wirtley. She is a 2019 graduate of Oconto Falls High School in Wisconsin. She is very outgoing and involved in many activities. Charis loves to sing and play music, either percussion which she played in high school band, or piano, which she taught herself how to play. She has been doing gymnastics since she was 18 months old, only taking a little time off, and coaching gymnastics as well. Charis is looking at possibly attending Luther College or Wartburg College in the fall of 2019. She is undecided in her major at this point. Charis is a vibrant and faith-filled young lady who also has known struggles and is learning how God is trying to use her in this world.